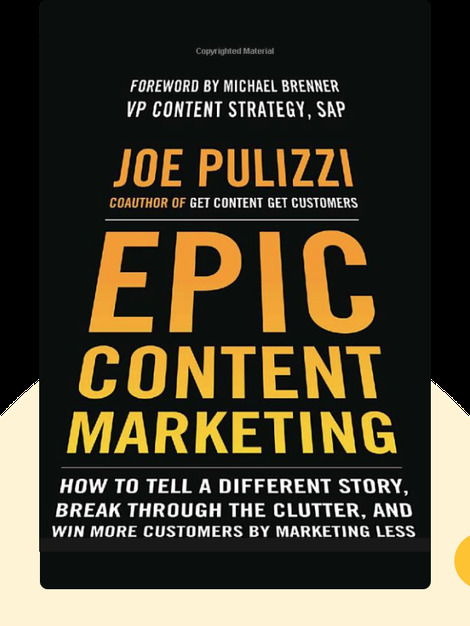 Epic Content Marketing (2014) offers you a step-by-step guide to mastering one of today’s most innovative approaches to product marketing. Knowing your audience and assembling a top-notch content team are just some of the key elements to achieving a successful content marketing strategy and getting ahead in a highly competitive market. 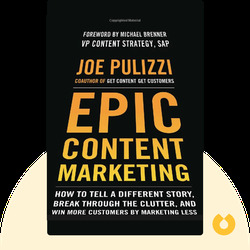 Joe Pulizzi is a content marketing strategist and speaker as well as founder of the Content Marketing Institute, which runs the largest physical content marketing event in North America. He’s also a co-author of the books Get Content, Get Customers and Managing Content Marketing.